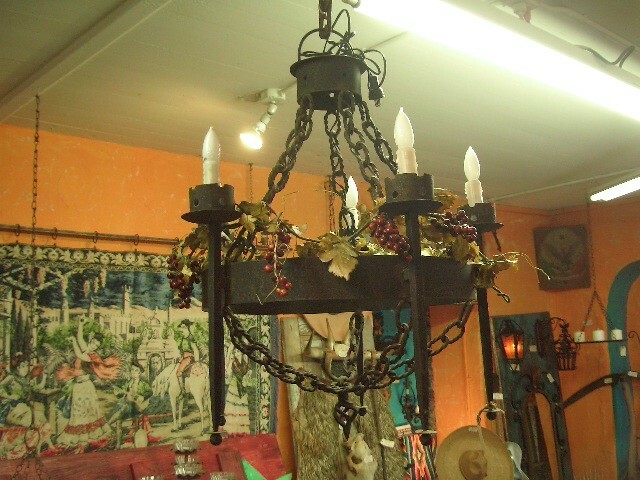 This is a 1920 beautiful Spanish Hand forged Hanging Chandelier with 5 lights and 5 legs. Newly wired and ready to hang. This is a one of a kind unique piece. Rare find. This is a 1920 beautiful Spanish Hand forged Hanging Chandelier with 5 Candle holder or lights could be installed/ We suggest remote Candles. It also has 5 legs. This is a one of a kind unique piece. Rare find. Please email cowboyron@cowboycabin.com with questions or call 406 270-2842.